Whether on the coast or inland you’ll discover beautiful little villages all over the island, such as Agios Georgios, Alyki, Theologos, Kallirahi, Kastro, Kazaviti, Koinyra, Limenaria, Maries and Panagia. 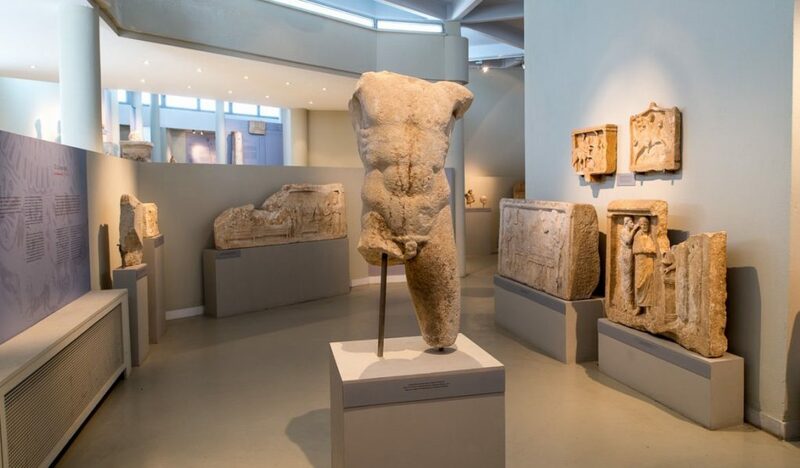 At 3.5m tall, kouros – an imposing statue representing a male youth – greets you as you enter the museum, which holds an important collection of finds from the 7th century BC to the 7th century AD in a recently renovated 1930s building. The annual summer Kavala-Thasos festival hosts notable performances and concerts. The cultural events reach their peak with the representation of the ‘Thasos wedding’, where you’ll witness the revival of ancient Dionysian traditions through local wedding customs.